REGION — From Dominic Hovasse to Marek Sullivan, Torrey Pines has developed a tradition of role players emerging as stars during their final varsity season. Finn Sullivan took the tradition to a new level. The 6-foot-5 senior guard emerged as the heart and soul of the Falcons, which continued its dominance in the Avocado West League this season, going 28-4 and earning a berth in the State Division 1 Playoffs. Sullivan averaged 18.7 points, 8.3 rebounds, 5.5 assists and 2.1 steals per game and was named Player of the Year in the Avocado West and to the All-San Diego Section First Team. And he is The Coast News Player of the Year. Abrams guided the Longhorns (17-12) to a 10-game turnaround from his first season, when the Longhorns went 6-23. 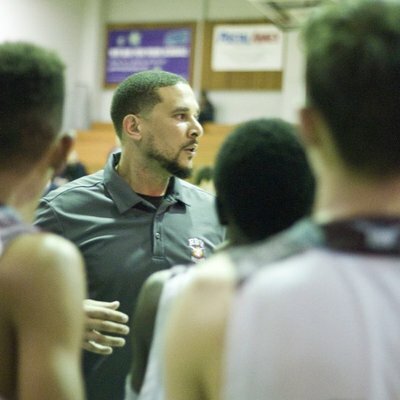 RBV scored the biggest upset of the season when they defeated San Marcos 58-54 in overtime. The Longhorns were upset in the first round of the Division 3 playoffs, but return most of their top contributors. 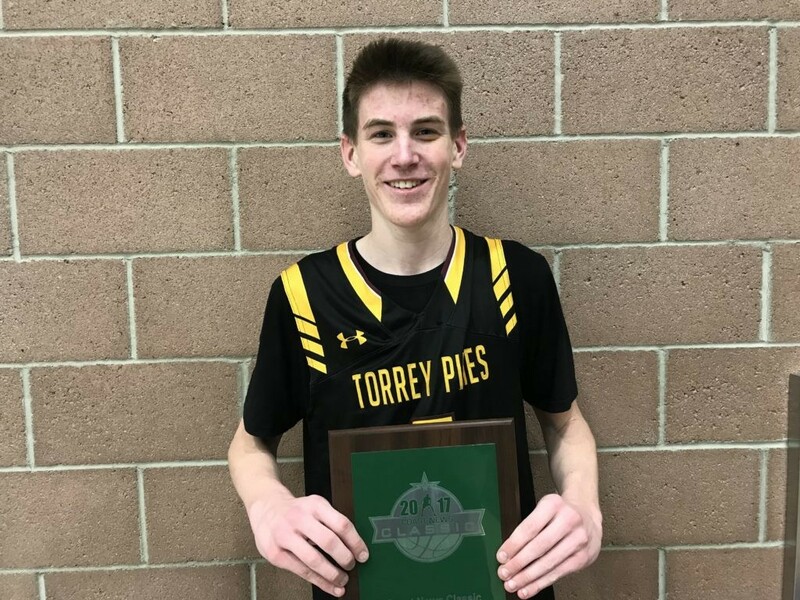 Bryce Pope, 6-2 Jr. G, Torrey Pines — The prolific scoring guard led the Falcons in scoring (22.3 ppg) and had several huge games, including 36 points against Poway and 35 against St. Augustine and Vista. Taurus Samuels, 6-0 Sr. PG, Vista — The Dartmouth-bound lead guard led the Panthers to a second straight Open Division appearance, leading the Panthers in scoring (19 ppg) to go along with 4 rebounds and 4 assists. Isaiah Morris, 5-11 Sr. PG, Vista — The emotional heart and soul of the Panthers is headed to CSU Dominguez Hills. Averaged 14 points, 4 assists and 3 rebounds per game. Warren Washington, 6-11 Sr. F, Mission Hills — Headed to Oregon State, Washington willed a young Grizzlies team to the brink of a Division 1 championship game appearance. Kody Clouet, 6-4 Sr. SG, San Marcos — The senior sharpshooter led the Knights (20.1 ppg) to one of the best seasons in program history and the school’s first appearance in the CIF Open Division playoffs. Damien Miller, 5-9 Sr. PG, Orange Glen — A triple-double threat every time he steps on the floor, Miller averaged a team-high 16.3 points, 9.2 rebounds and 9.3 assists per game, leading the Patriots to a Division 1 semifinals appearance. Jalen Flanagan, 6-3 Sr. G, El Camino — The high-scoring senior guard led the Wildcats with 23 point and 8 rebound averages en route to a Division 1 Finals appearance. JC Canahuate, 6-1 Sr. G, Army Navy — Averaging 27.8 points per game, the All Coastal League first teamer willed the Warriors into games in the section’s toughest league. Matthew Stevenson, 6-4 Sr. F, Santa Fe Christian — The jack-of-all-trades forward led the Eagles to back-to-back Division 1 championships. Scored 21 points in the second half of the title game against El Camino. MJ Metz, 6-5, Sr., F, Canyon Crest Academy — The All-Avocado West first team selection was one of the best defenders in the section and led the Ravens to a high seed in the Division 1 playoffs. Graham Cook, 6-4 Jr. G, La Costa Canyon — All League First team selection in the Avocado West. Jordan Hilstock, 6-3 Jr. G, Vista — One of the best two-way players in the section, Hilstock averaged 14 points, 6 rebounds, 4 assists, 2 steals and one block per game. Michael Pope, 6-2 Jr. G, Torrey Pines — The third Avocado West first team all-league selection from the Falcons averaged 14 points and 4 rebounds per game and was big for the Falcons down the stretch. Carter Plousha, 6-5 Jr. W, Carlsbad — The leading scorer and top defender for the Lancers led the team to a Division 3 championship game appearance, a 3OT heartbreaking loss to Mount Miguel. Patrick McLachlan, 6-2 Jr. G, Rancho Buena Vista — The Pittsburgh-area transfer became the Longhorns leader after becoming eligible Jan. 1. Chris Howell, 6-5 Fr. PG — The first-year guard led the Knights in assists en route to an All Avo East second team selection. Aaron Acosta, 6-4 Sr. SG, Canyon Crest — The senior averaged 14.6 points per game and hit 73 of 178 threes, the best mark in school history. Tyler Elsom, 6-2 Sr. G, Canyon Crest — Talented two-way guard was named to the All Avo-West second team. Chris Olave, 6-2 Sr. G, Mission Hills — The Ohio State-bound football talent was an All Avo East second teamer and had big games for the Grizzlies after his return from the gridiron. TJ Askew, 6-6 Sr. F, Santa Fe Christian — The Eagles leading scorer on the season was named to the All Coastal League Coaches 2nd team.